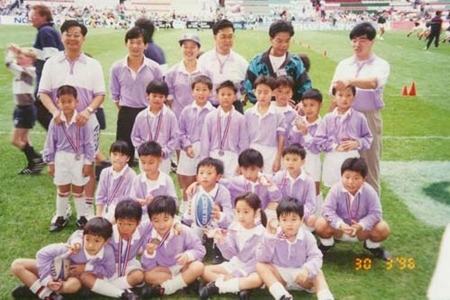 TSW Eagle Rugby Club was established in 1995 by a group of local parents who had absolutely no idea of what rugby was! Our Club's mission is to promote family harmony in building child-parent relationships and in today's society where TV and computer games play such a significant part in children and teenagers' lieisure time, rugby provides an excellent opportunity in that it promotes perseverance, teamwork, social interaction and communication. As well as providing a solid base for our members to enjoy competitiove games with other local rugby clubs in an outdoor environment, we also arrange activities such as BBQ, hiking, holiday camps and other day trips as team building exercises. We welcome youngsters between 4-12 years old, boys and girls, and provide 3 free training sessions; so please free to join us to see what we get up to!